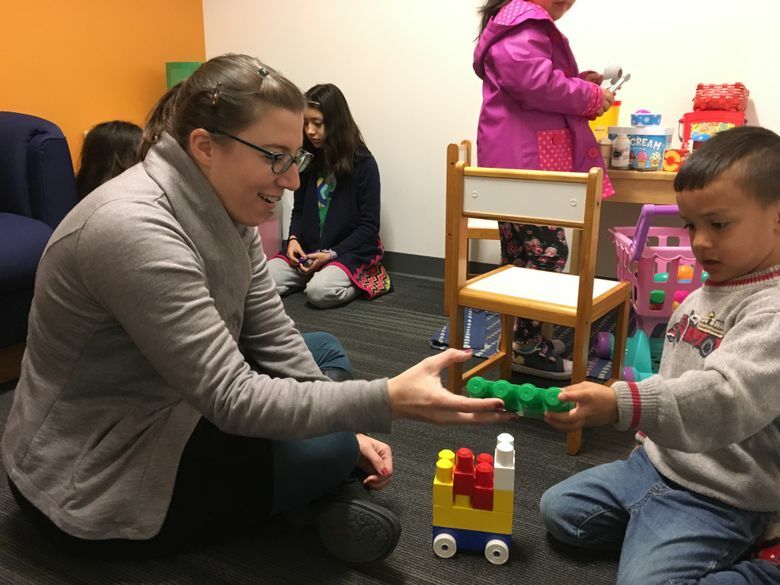 Kristina Olson, who runs the TransYouth Project at the University of Washington, was awarded The National Science Foundation’s Alan T. Waterman Award — the U.S. government’s highest honor for an early career scientist or engineer. It all started 10 years ago at a dinner party at a friend’s house, where Kristina Olson met a young boy who made it clear that he wasn’t planning on staying that way. He was going to live as a girl. And that was pretty much that. Olson, a psychologist, was inspired to start researching issues of gender identity in prepubescent children — and found that very little had been done. So she made those children the focus of her work, while delving into how people see themselves, how they see one another, and how those ideas form early in life. “I’m interested in the experience of feeling that you are in a social category that other people don’t think you’re a part of,” she said. 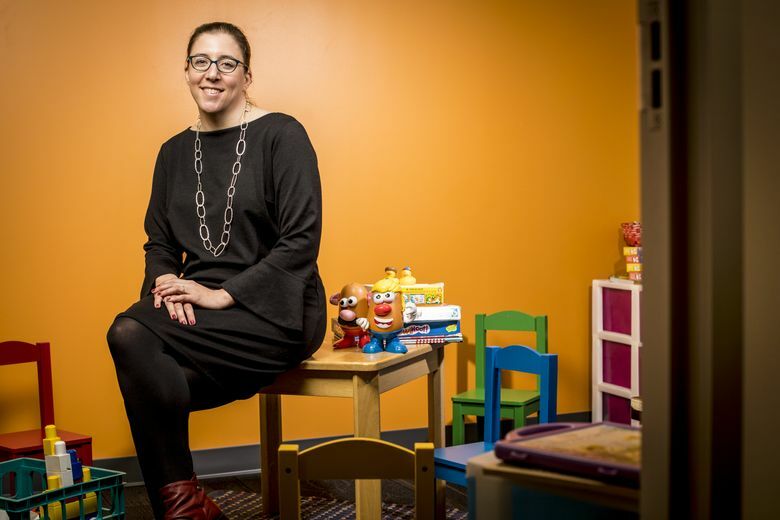 Olson, 36, runs the Social Cognitive Development Lab at the University of Washington, where she arrived in 2013 and where she created the TransYouth Project, the nation’s largest longitudinal study of transgender children. Her lab is made up of three staff members, 12 undergrad students, seven grad students and one postdoctoral student — a handful of them transgender. The Project will follow a cohort of 300 children from 45 U.S. states and several Canadian provinces for 20 years. Earlier this month, The National Science Foundation awarded Olson the Alan T. Waterman Award — the U.S. government’s highest honor for an early career scientist or engineer. The award comes with a five-year, $1 million research grant. As the issue of gender continues to evolve, society needs to understand not only its roots, Olson said, but how it can grow into the unexpected — and how to be accepting. That’s especially true now, when the issue of gender is so much a part of the zeitgeist. During her first year of research, Olson flew all over the country to find transgender children to participate in her study. She found only 19. “We were so unknown to the community and people were scared,” she said. The team persisted, though, and started finding patterns. The main finding among prepubescent transgender children? “It’s the most uninteresting thing,” Olson said: Prepubescent transgender kids look like the kids who share their gender identity. Trans girls look like girls, and trans boys look like boys. Another finding: 92 percent showed signs of being transgender before they were 4 years old. In 2015, the TransYouth Project published a study in Psychological Science that showed that transgender children’s gender identities were as deeply rooted as those of their non-trans peers. The following year, Olson (with co-author Katie McLaughlin) published a study in the journal Pediatrics that found that 73 transgender children (aged 3 to 12) had rates of depression and anxiety no higher than two control groups made up of their own siblings and other, age- and gender-matched children. And Olson has become a bit of an authority. She has written for Scientific American; been quoted in The New York Times and other publications; and appeared on the PBS NewsHour and in “Gender Revolution,” a series hosted by Katie Couric. That exposure has helped the TransYouth Project connect with transgender children and families in Botswana, Germany, England, The Netherlands. The funding from the Waterman Award will help Olson and her team continue that international work. It has also attracted older transgender people, who spent most of their lives — or their entire lives — denying their true selves. Olson, who is married and is a foster parent, grew up in Urbana, Illinois, a small town “with all kinds of diversity” that was, by and large, accepted and almost celebrated. Some families Olson interviewed struggle mightily, and some are accepting and managing just fine. Some are beat up every day. Olson has been surprised to visit rural areas — “one-stoplight towns” — where transgender kids are fully accepted by their community. But she also knows kids in big cities who have lost their best friends and been kicked out of their churches. Every societal issue — including gender — has to do with “us and them” and how we divide the world into groups, Olson said. Look at the Civil War. Syria. Negotiations with China about tariffs. These are societal groups that disagree — and Olson strives to find out why and when these categories matter to people. A decade after that dinner-party meeting, Olson and the boy who was really a girl remain connected. Even then, she knew herself. Who she was. And that was that.